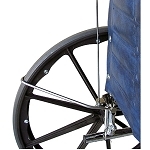 Bath and Shower Chairs for in home care of the elderly, stroke, Parkinson's, disabled, handicapped, geriatric and bedridden. 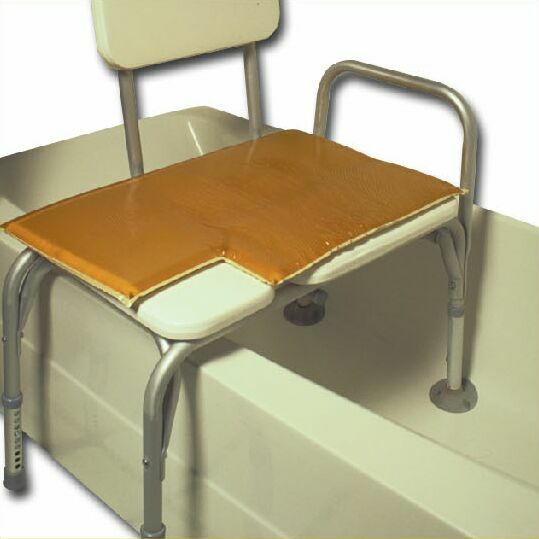 Bath and Shower Chairs can help provide independent bathing. 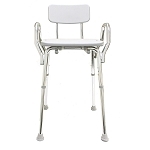 Sometimes, all that is needed for someone to remain independent is a bath and shower chair. 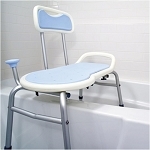 Bath and shower chairs can provide a means for independent bathing. 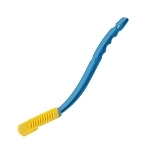 Reduces pressure experienced during transfers and showers. 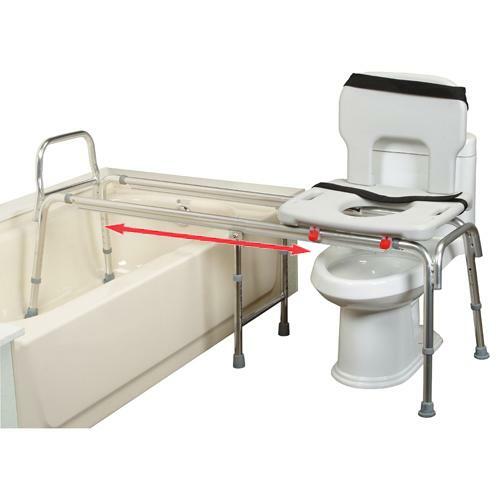 Helps make tub transfers in small bathrooms easy and safe. 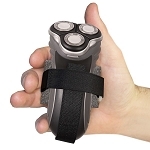 Just sit, swivel, slide and shower! 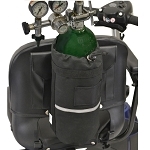 48-49 inch base for tubs wider than standard, and transfers over longer distances. 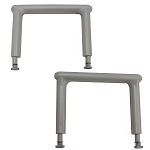 Enables the user to stand with minimal bending of the hip.